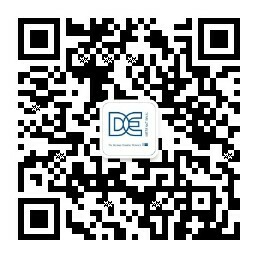 The WeChat version of DE Job Market website has been released on our WeChat account. 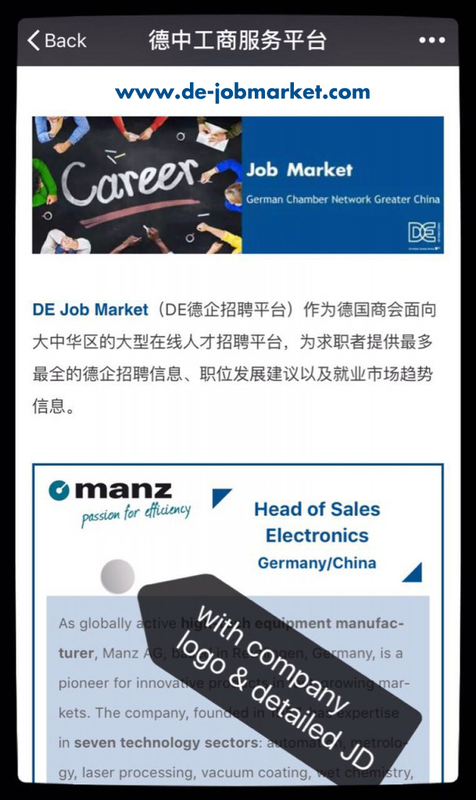 You can find the latest job or internship pos tings from German companies on our WeChat under the menu “Jobs” –“Latest Jobs” & “Internships”. The WeChat edition makes the application process much easier for job seekers. Now, the candidates can simply import their CV from the main job platforms in China and send it out through the WeChat. To try out this brand new function, just scan the QR-Code and click the menu “Jobs”!